Community Service is an integral component of the education at The Brandeis School. Every Middle School student completed a minimum of 18 hours of volunteer service over the course of the school year. Students are encoraged to volunteer for a myriad of in-school chesed activities such as: leading activities during the Welcome Back Event, being timekeepers at Parent Teacher Conferences, helping lower school teachers with classroom tasks, helping Rabbi Haimoff with ritual tasks, and creating art murals in our hallways to enhance the school’s physical environment. 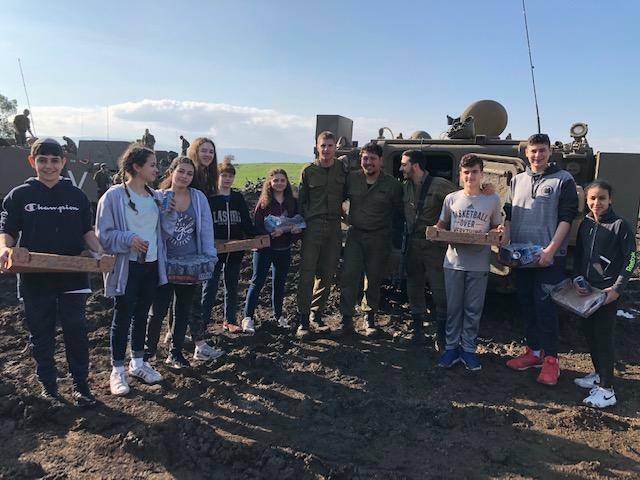 The school also coordinates various out of school trips and activities such as visiting seniors at local nursing homes, singing holiday songs to Holocaust survivors at the JCC and refurbishing electronics for underprivileged children. During The Brandeis School Kindness Month, The Brandeis School family is encouraged to increase their acts of kindness towards others.